All Benchmark products are backed by a Lifetime Guarantee, which allows for the re-sizing and re-finishing of your ring. Gold mining has a history of civil war, labor abuses, and environmental devastation. 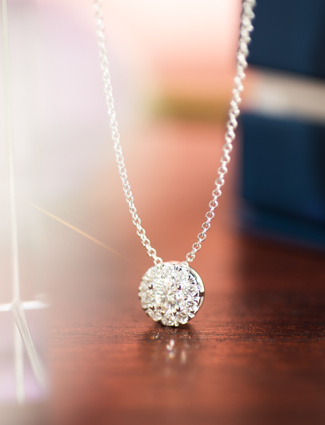 As part of our commitment to environmental responsibility, we handcraft our fine jewelry from recycled precious metals. Our objective is to diminish the negative impacts of mining by reducing the demand for newly mined metals. Recycled precious metals are an important component of Benchmark's commitment to the environment. 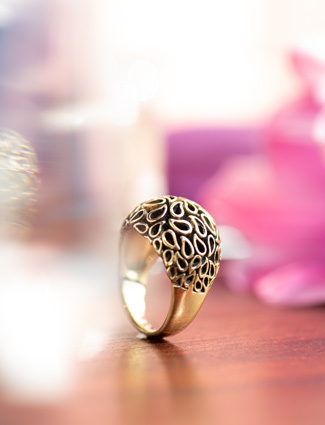 We are also committed to environmental responsibility throughout the jewelry production process. We look for ways to reduce environmental impact, such as emissions cleaning systems and processes to prevent contaminants from being released into the environment. 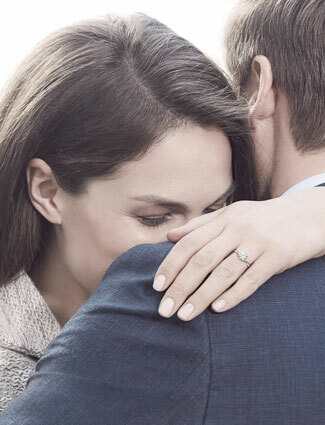 Our most popular metal for engagement rings and wedding bands, platinum's naturally white sheen will never fade or change color, and accentuates the sparkle and brilliance of a diamond. 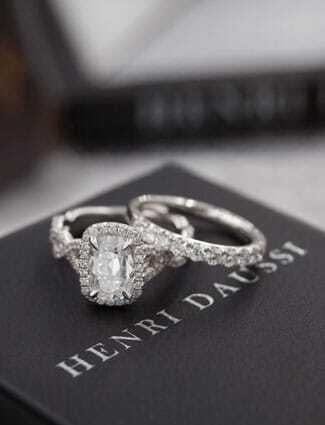 Platinum will last forever, making it the ultimate symbol for true, enduring, and everlasting love. Palladium, one of the rarest metals in the world, is a member of the Platinum Group Metals. These metals are also referred to as “Noble Metals” due to their superior ability to withstand corrosion and oxidation. Gold has an extraordinary heritage with unique qualities. As an enduring element found naturally in a distinct yellow color, gold is resistant to rust, tarnish, and corrosion. Although gold is very strong, it’s also the most malleable of all precious metals. Damascus steel, that has its own somewhat mythical origin story, rooted in the Near East. It can be traced back to India to around 500 AD. These steels have an attractive surface pattern composed of swirling patterns of light-etched regions on a nearly black background. The pattern-welded steels are produced by forge welding alternating sheets of high and low-carbon steels. This composite is then folded and forge welded together, and the fold/forge cycle is repeated until a large number of layers are obtained. Made from a highly durable alloy, cobalt is four times harder than platinum while at the same time, less dense. Because of its natural hardness, cobalt jewelry is extremely scratch, chip and corrosion-resistant. Its lower density and natural malleability allow for strong, dynamic designs with less weight. Cobalt is also hypoallergenic, making it an ideal choice for those with sensitive skin or an active. lifestyle. Blackened Cobalt is simply Cobalt but with a PVD process applied to it. The composition of Black Cobalt is no different than that of basic cobalt. Black Cobalt is also hypoallergenic, making it an ideal choice for those with sensitive skin or an active lifestyle. Titanium is a unique and strong metal with incredible value for men’s wedding bands. With a solid foundation in the engineering and aerospace industries, titanium has a proven track record as an enduring metal. Benchmark Black Titanium is manufactured through a natural process of vapor- deposition involving vaccum chamber technology. The process permits the blackening to pentrate far beyond the ring’s surface giving it more longevity than other similar products. Tantalum is the newest addition to our contemporary metals and it is highly scratch-resistant and hypoallergenic. Naturally a blue-gray metal, our tantalum is 99% pure. It is important to note that Benchmark only uses conflict-free tantalum processed in non-conflict mines and production facilities. Black Tantalum is achieved through an organic process of proprietary heating and cooling techniques. Black Tantalum is still pure Tantalum and no chemicals or coatings have been used in achieving the natural “Blackened” look.